In the engineering domain, there is a wrong practice, but unfortunately widespread, that consists of going straightforward from high-level requirements to technological solutions in terms of hardware, software and operational procedures, without performing architecture and design activities at intermediate levels, so called “system levels”. This practice leads to leave the system-control at the lowest level of technological modules and actors, none having a real view of the System of Interest, and how it could be endowed with architectural properties to match concerns about deployment, utilisation, maintenance and disposal capabilities. The consequences are holes in the final system and no satisfaction of users; a lot of effort consumed with modifications; delays and overspending. Fundamentals related to the notions of system, system element, system of systems, interface, port, function, input-output flow, operational mode, scenario, etc., as well as the relationships between these notions. 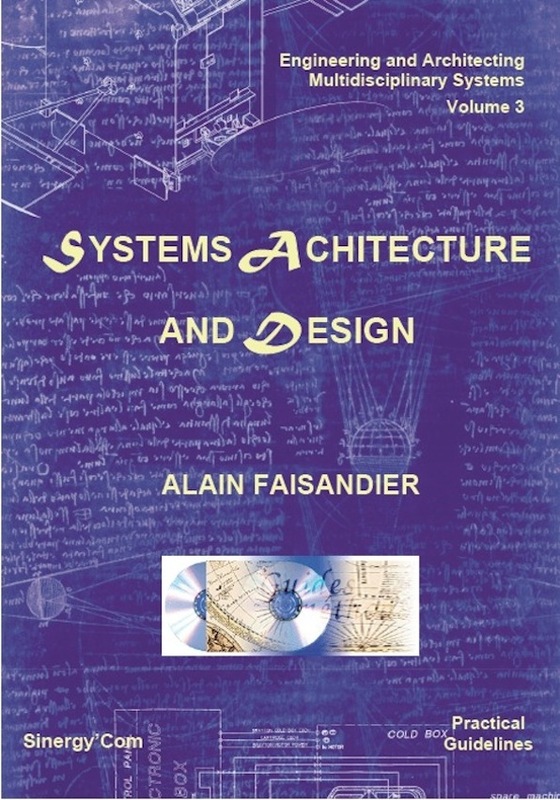 Approaches related to Logical Architecture Definition, Physical Architecture Definition, and System Design. Principles and practices about functional, behavioural, temporal and physical modelling. This practical guideline is intended for professionals who want to understand and apply daily engineering of systems, and in particular to those who will have to conceptualize and define the architecture of complex or multidisciplinary systems. They will find methods, processes, modelling techniques, and case studies to practice the approach. Examples and case studies illustrate practices. The case studies explain step by step how to perform the activities and tasks. Readers can directly transpose the step-by-step and use provided templates for their current or future projects. Pour un achat de ebook en nombre (plus de 5 exemplaires) ou licence réseau, veuillez envoyer une demande par email à : contact@sinergycom.net. Note : Le format ebook pdf est destiné à la lecture sur écran, pas pour l’impression. Sinergy’Com © est une marque déposée par SINERGIE.